A tremendous story for wildlife management, the Shiras moose was reintroduced into Colorado in the late 1970s. The species success has provided new tourism opportunities for wildlife watchers and sportsmen alike. 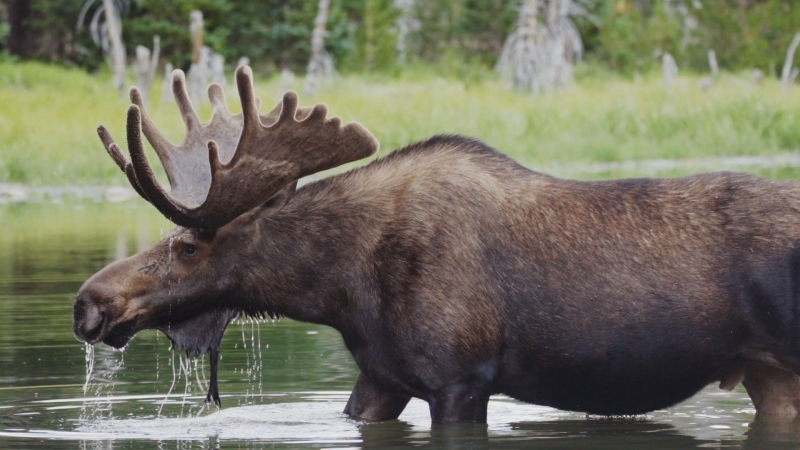 Although moose are still a rare species to see, wildlife managers remain responsible for sustainable populations and striking a balance between wildlife and the public.